We are so excited to introduce you to our new friend, Cammie! 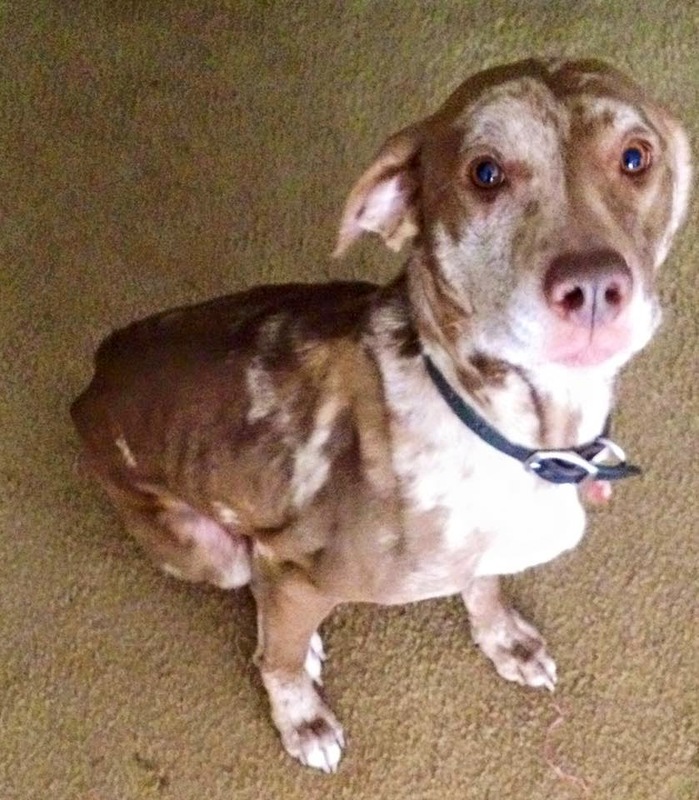 Cammie is a five year old leopard catahoula dog who joined her Take Me Home Pet Rescue (TMHPR) foster home on Wednesday night. 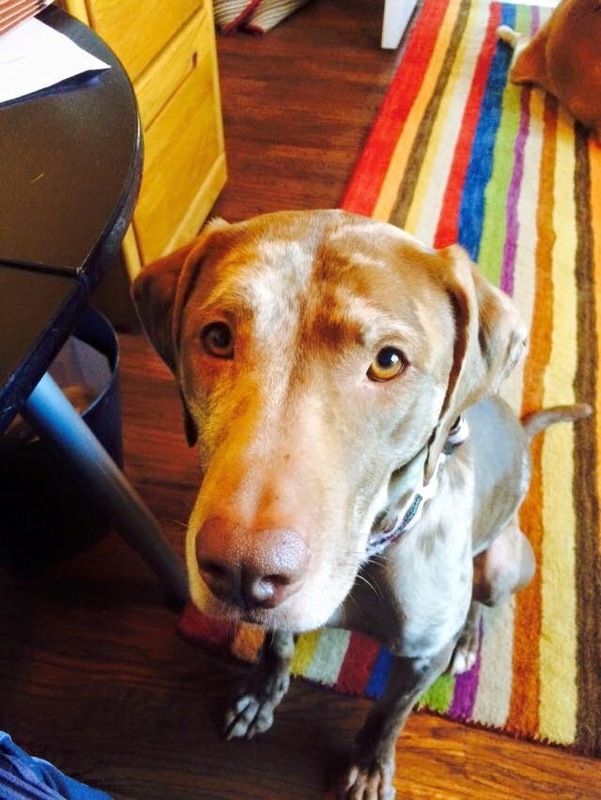 Cammie’s story is a sad one, but her journey to a fabulous forever home has begun! 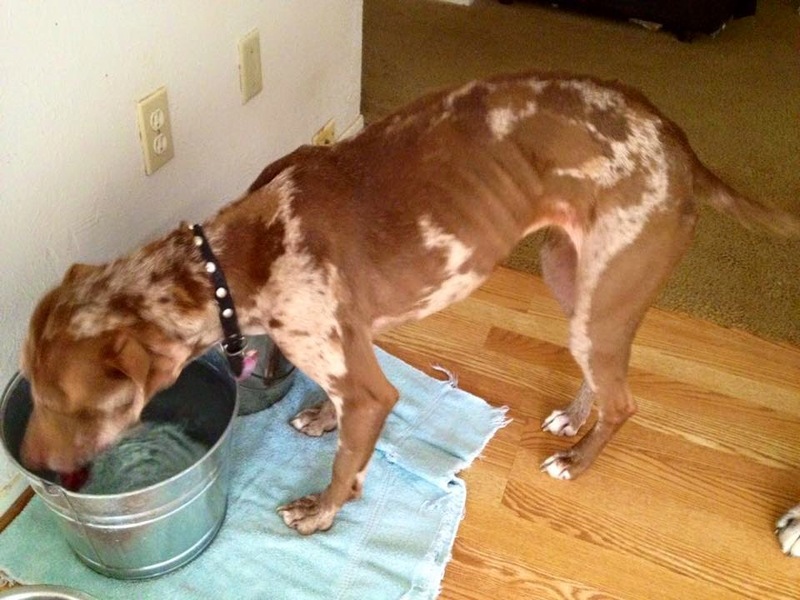 She was left in a wire crate when her owner was evicted from his home. Food and water were left behind but not enough to last the two weeks she was thought to have been waiting to be discovered. 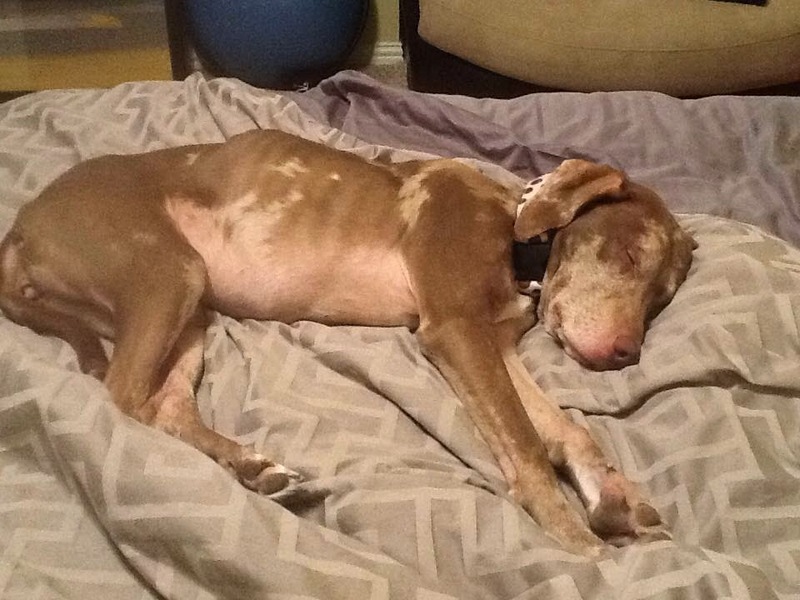 Scared and skinny, she has hit the foster home jackpot! As is typical of an abandonment situation, Cammie was sticking close to her new foster Mom during the first night in her new home. Her foster Mom reported that Cammie slept on top of her . . . . all night. Cammie was not going to let her new Mom sneak out during the night. After 24 hours in her new home, Cammie is already looking more beautiful and relaxed. In no time she will be filled out again and enjoying life as a member of the pack. 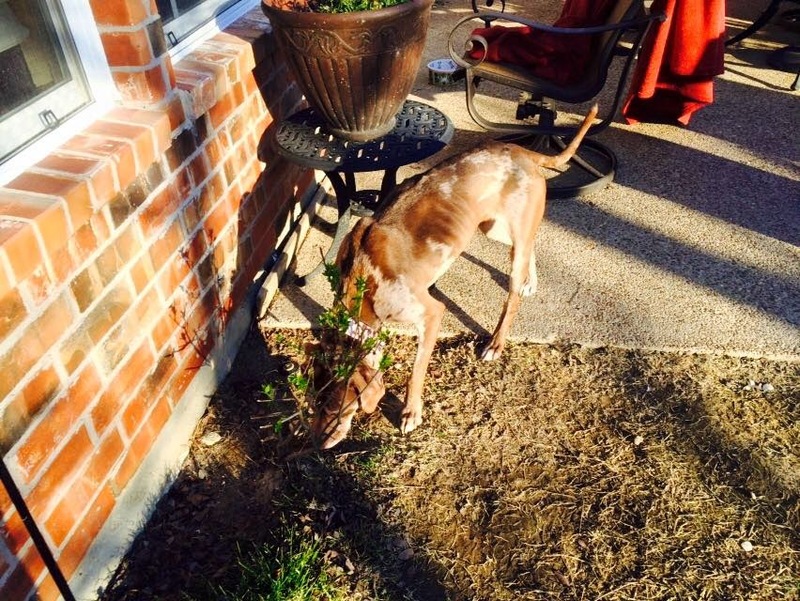 She is already spayed, potty trained and gets along with other dogs. 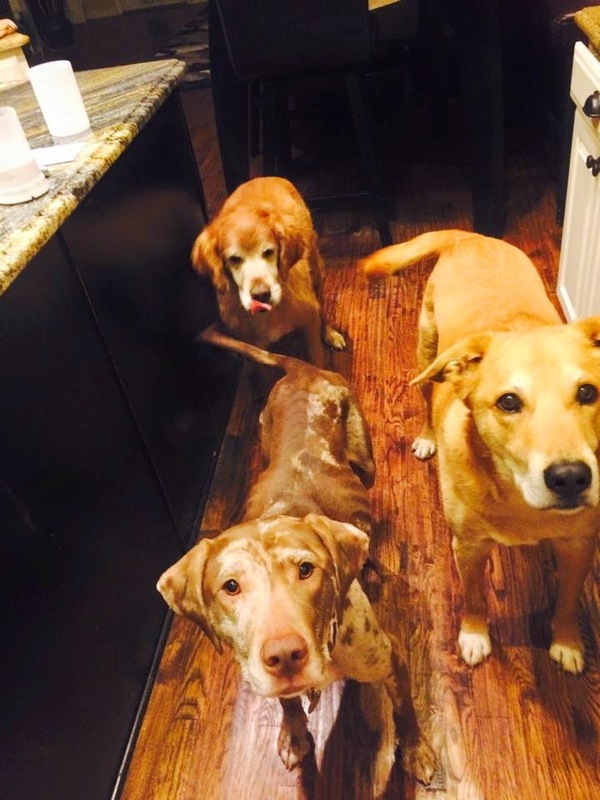 As of last night, Cammie had already found her place in the pack as they were waiting for treats. She has fit right in. As we have mentioned so many times, packs are so important to making a dog feel safe and comfortable. Cammie resting on Thursday night. Much more relaxed her 2nd night. As of last night, it looked as if Cammie was much more relaxed and ready to sleep comfortably on her bed. How quickly they begin to learn that they are in a safe environment where they can heal and become the best dog they can be. 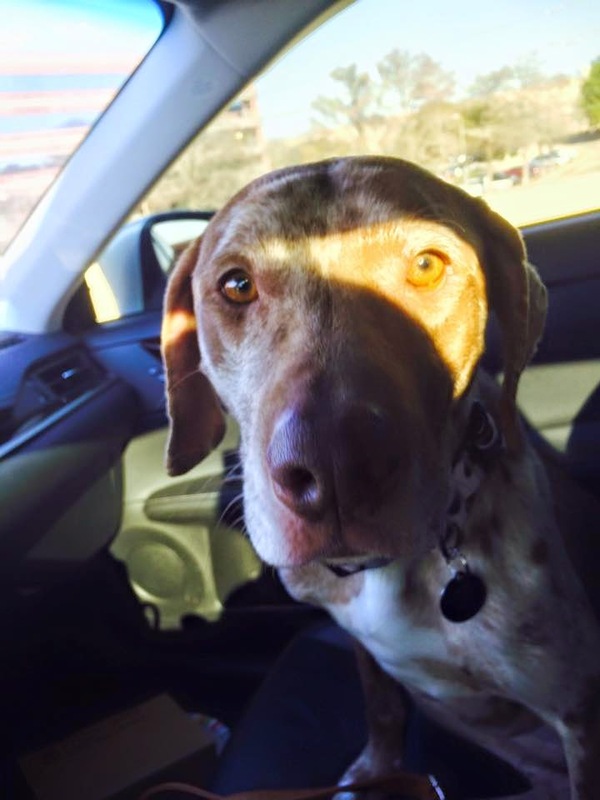 Check back with the blog to follow Cammie’s journey to her forever home. And for more information about TMHPR, please visit their website at www.takemehomepetrescue.com.